Incorporating whole grains into my baking repertoire has been a gift and a challenge. Because of a gluten free trial, I started exploring the world of alternative baking flours. 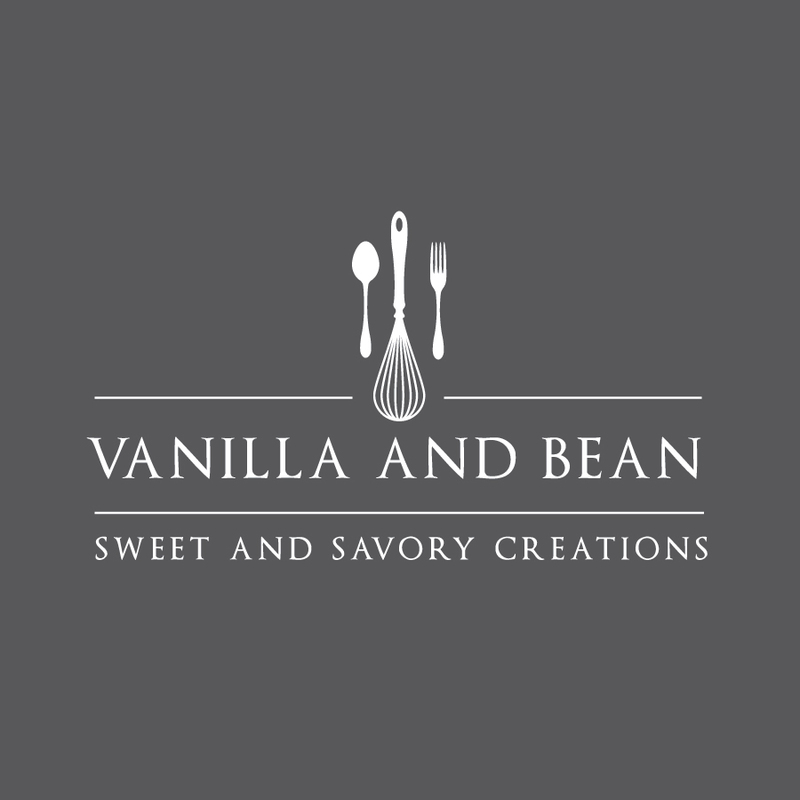 Its been a learning curve but one that has stretched my baking skills and has allowed me to try new whole grain flavors and textures in baked goods that I probably would have never considered. I’ve found oat flour to be a go-to, new-to-me flour of choice so far. Because oat flour is made from oats, it has the same earthy, nutty flavors you’d get from a bowl of oatmeal. Because of its texture and flavor, it makes an ideal whole grain flour to use in waffles, cookies, muffins, and quick breads like scones. I’m currently working on a pancake and cake recipe using oat flour and I’m loving the results. I’m finding it to be endlessly versatile! Oat flour is simply oats milled to a fine soft flour. It’s super simple to make and only takes a few minutes to whip up. Add 2 cups (200g) of whole rolled oats (not quick), gluten free if needed, into a food processor or high speed blender. Process for about three minutes in the food processor or one minute in the high speed blender until a fine meal/flour if formed, scraping down the bowl/pitcher as needed. One cup of oats yields one cup of flour (100g). 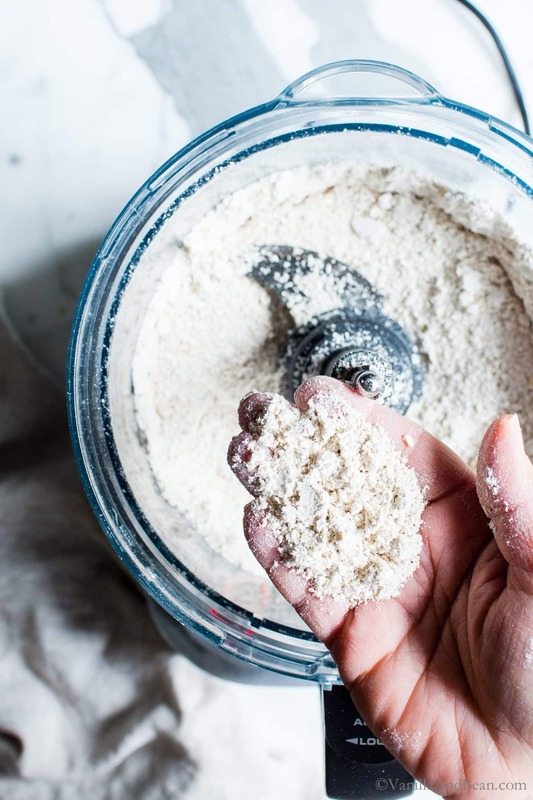 Store oat flour in a lidded container in a dry, cool pantry for up three months at room temperature, up to six months in the refrigerator or 12 months in the freezer. 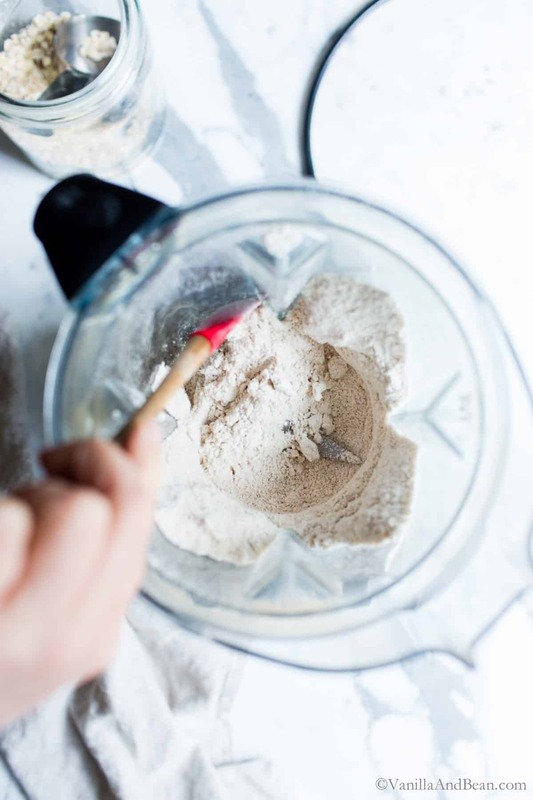 Because I searched high and low for a good quality organic and gluten free oat flour and had difficulty finding one, that’s when I started learning how to make oat flour. If purchasing however, you can find oat flour online or at your local grocery. Amazon sells gluten free and regular. Is Oat Flour Gluten Free? Oats are naturally gluten free but due to cross contamination in growing and/or processing oats, purchase old fashioned rolled oats (not quick) from a brand that is certified gluten free if needed. I like Bob’s Red Mill. Can You Sub Oat Flour for Wheat Flours? Because baked recipes are specially formulated using specific ingredients, oat flour cannot be subbed 1:1 for wheat flours in any given recipe. 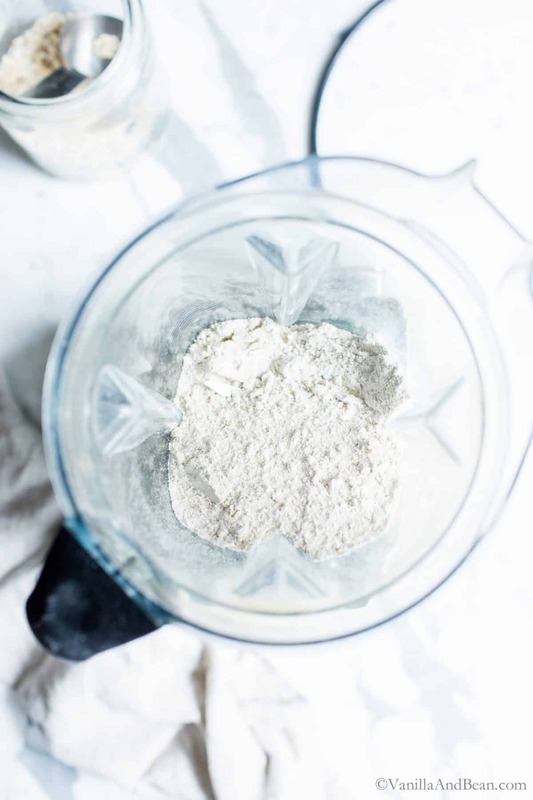 Since wheat flours are glutenous and gluten plays a vital role in baked recipes that include it, a recipe would need to be redeveloped if subbing all oat flour. So, proceed with an experimental heart when subbing flours! However, oat flour can easily be substituted for up to 1/4 cup of wheat flour in cookies, pancakes, muffins, and quick breads. 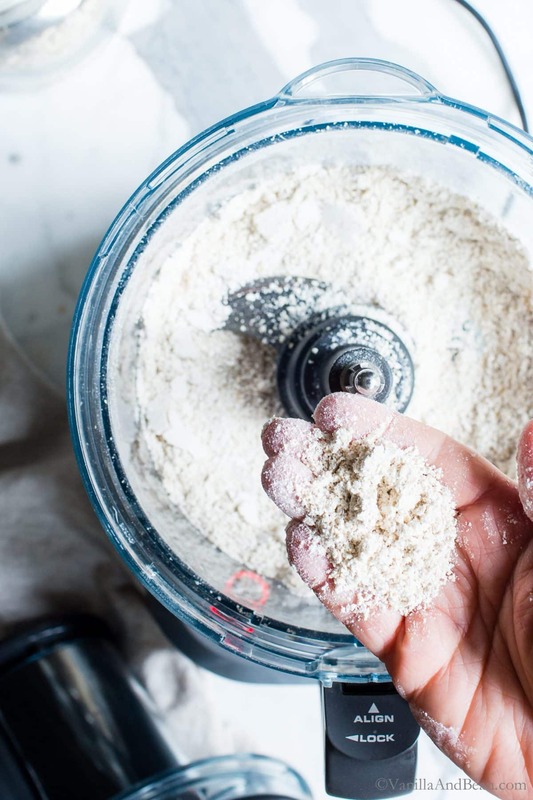 DIY Oat Flour in a Food Processor or Blender? Because oat flour can be pricy and even pricier for gluten free, I started DIYing oat flour at home. I’ve used two different machines to make oat flour and my preference is a high speed blender (I use Vitamix). 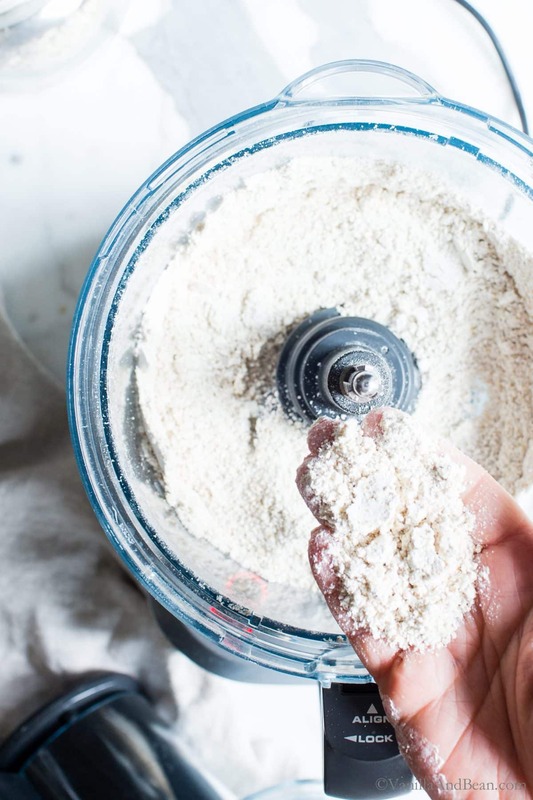 FOOD PROCESSOR: Making oat flour in a food processor takes about three minutes. When finished, the oat flour is ground to irregular bits some being larger than others. 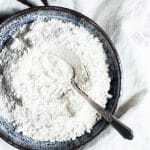 The flour isn’t as fine as what would be produced in a high speed blender and produces a more crumbly and grittier texture in finished baked recipes. I’ve processed up to five minutes and didn’t get a finer flour than I had at three and a half minutes. Individual food processors may vary. HIGH SPEED BLENDER: Making oat flour in a high speed blender takes about a minute and a half. When finished the oat flour is ground to a uniform fine meal, almost to a powder. Because this oat flour is finer, it produces a finer crumb in baked goods resulting in better texture. This is my preference. 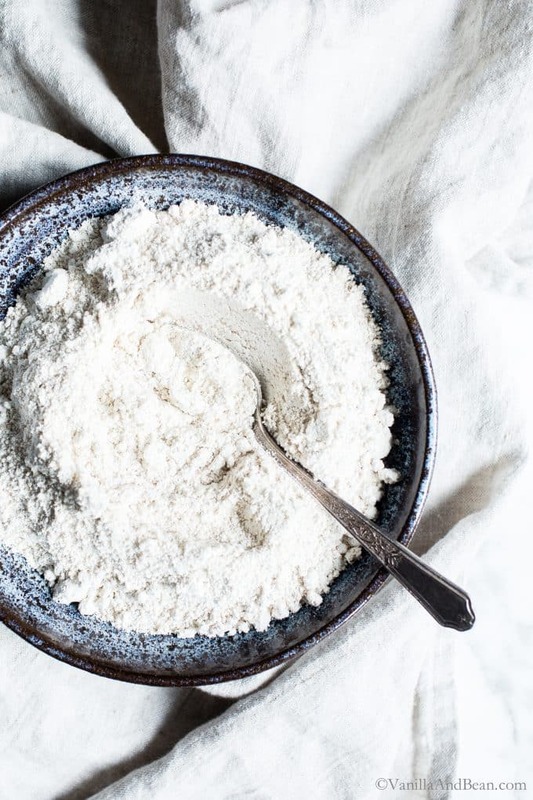 Need an easy and fabulous recipe to try with oat flour? Make my killer Healthier Oatmeal Cookies – raisin or chocolate chunk! 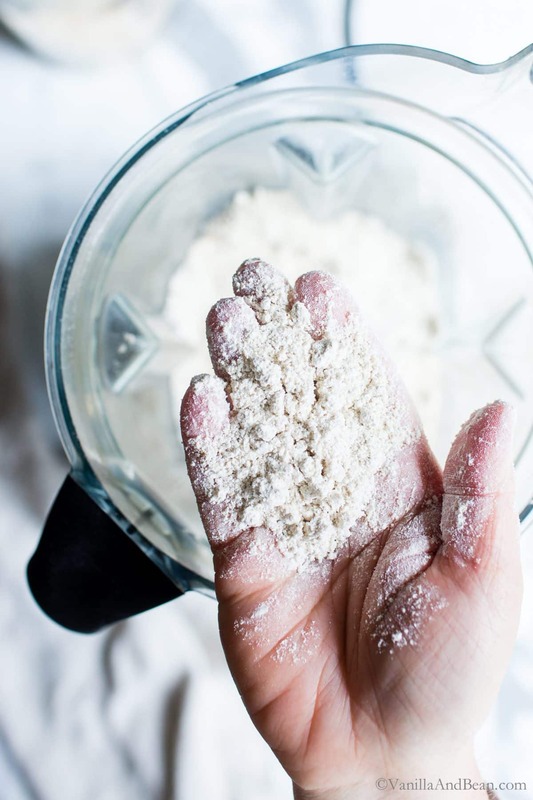 Oat flour tends to clump after processing, so before using it in recipes, it’s a good idea to give it a whisk or sift before using. 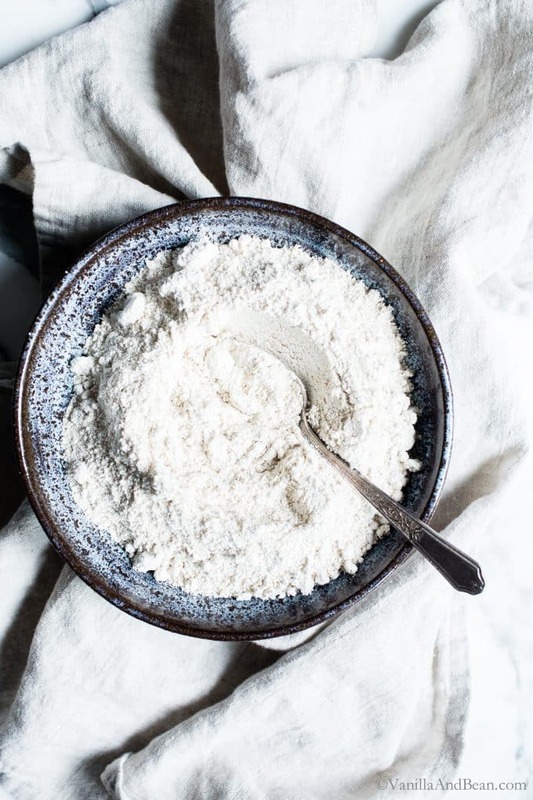 Oat flour pairs deliciously with other ingredients that you’d consider putting in your oatmeal bowl: brown sugar, nuts, honey, maple, butter, coconut, vanilla, peanut butter, coffee, yogurt, pears, chocolate and bananas just to name a few. If processing the oats in a high speed blender, be sure to stop several times to scrape down the pitcher. The flour tends to get lodged in the corners. Vitamix produces several different models, recommending a wet and dry container for specific applications. The model I use has one container that can be used as a wet and dry container. Read your manufactures specific instructions for processing grains. One cup of rolled oats yields about one cup of flour (100g). 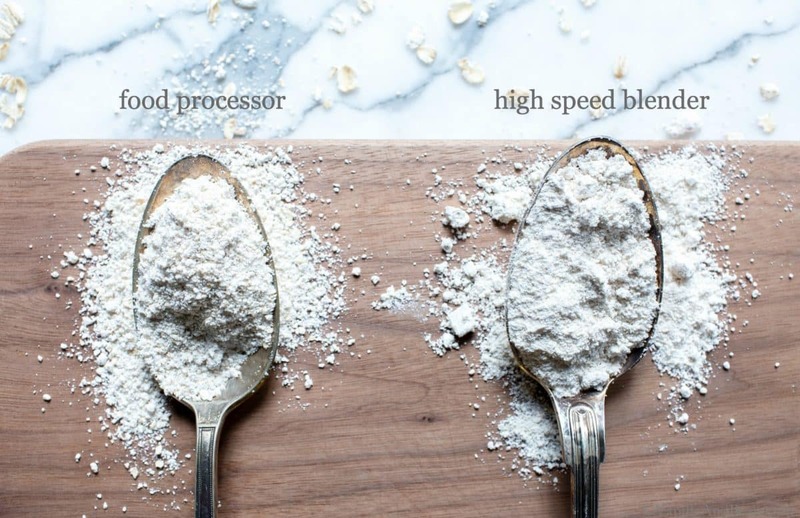 Oat flour processed in a high speed blender produces a finer, more powder-like flour. Because of this, I prefer blender milled flour in baked goods when compared to a food processor milled flour. Add 2 cups (200g) of whole rolled oats (not quick), gluten free if needed, into the work bowl of a food processor or high speed blender. 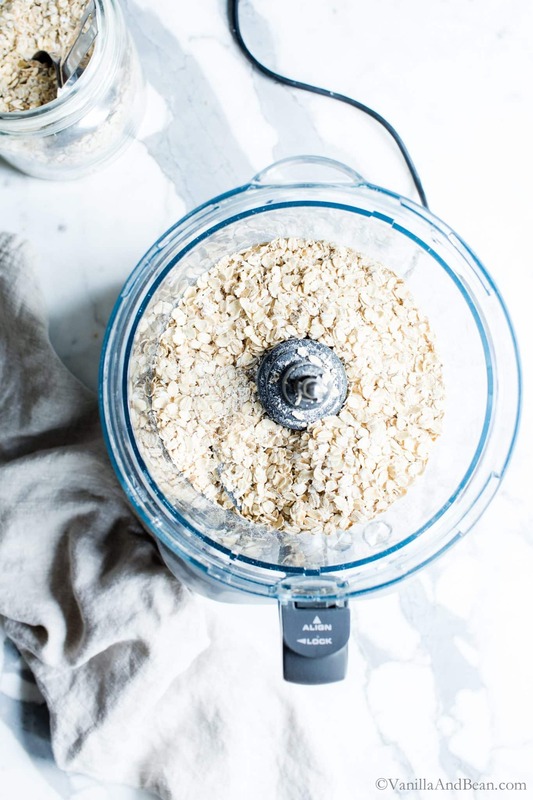 In a Food Processor: process the oats for about 3 1/2 minutes stopping to scrape the bowl down several times. Continue processing until fine bits are formed. There will be irregular pieces. I've found with the food processor I use, more processing does not produce a finer flour. 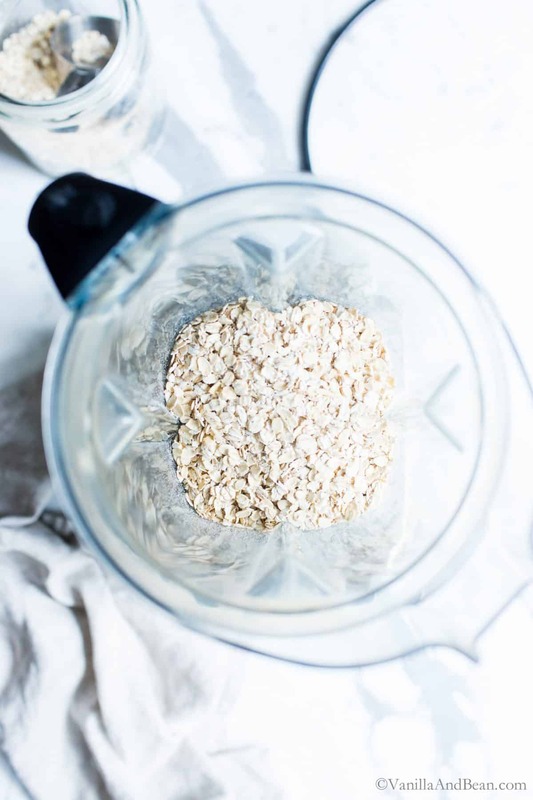 In a High Speed Blender: process the oats for about 1 1/2 minutes stopping to scrape the pitcher down several times, tapping the bottom on the kitchen counter to dislodge the finer flour if needed. Continue processing, stopping to scrape bowl several times, until fine bits are formed and the flour is in uniform pieces. *Vitamix produces several different models, recommending a wet or dry container for specific applications. The model I use does both. Read your manufactures specific instructions for processing grains. *Vitamix produces several different models, recommending a wet or dry container for specific applications. The model I use does both. Read your manufactures specific instructions for processing grains. I drop a teaspoon of homemade oat flour in my morning smoothie. Don’t even taste or feel it, but I am sure my body enjoys it. Just make sure you have enough liquid in the smoothie to not cause problems when the oats hit your stomach. Or, let them sit in the liquid for ten minutes or so before you run the smoothie maker. Ahhh so helpful. I have been making my oat flour in my food processor, but next time I will try making it in my blender. Such great tips. Thanks Traci. Thank you Ayse! You’ll notice quite a difference in a high speed blender!